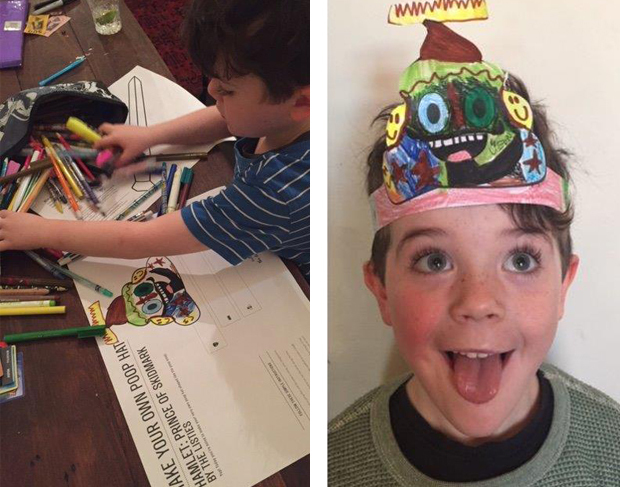 Fight off ninjas, zombies and aliens with your very own personalised sword and poop hat! Hamlet: Prince of Skidmark is filled with all the things that kids love: ghosts, castles, sword fights, bodily fluids and spooky stuff. In the spirit of all the hilarious stuff we see on stage, we’ve created some fun activities to do before or after you see the show! Share a photo of your sword or poop hat with us and you will go in the draw to win The Listies' hilarious book Ickypedia. To enter, you can either share your picture via Instagram - don’t forget to tag @sydneytheatreco #STCHamlet so we can see it - or email a photo to us at competitions@sydneytheatre.com.au. Competition closes 22 July. 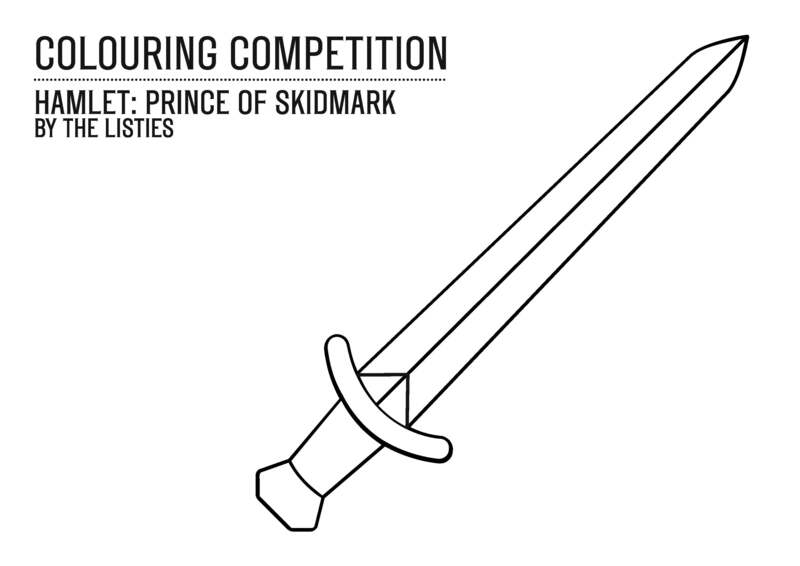 Download and print the pdf of our Hamlet: Prince of Skidmark inspired sword, and give it your own personal style complete with special powers! Don’t hold back – decorate your sword however you like! Inspired by the turbo-charged storytelling and on-stage silliness of The Listies, we’ve created a poop emoji hat that you can personalise, cut out and wear. 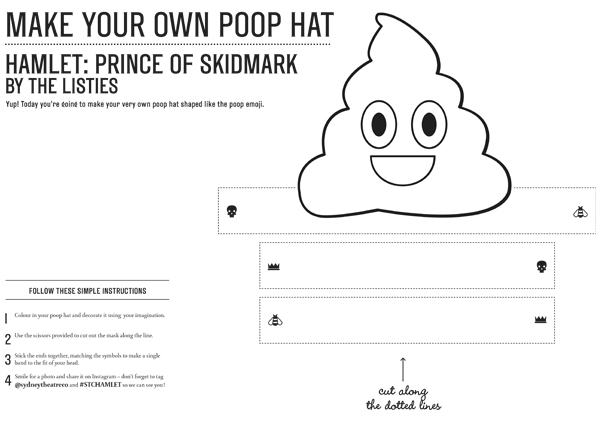 Download the pdf and following the simple instructions to create your very own poop hat! Don’t forget to take a picture in your fabulous new hat and tag @sydneytheatreco and #STCHamlet so we can see you and all our other poop peeps!